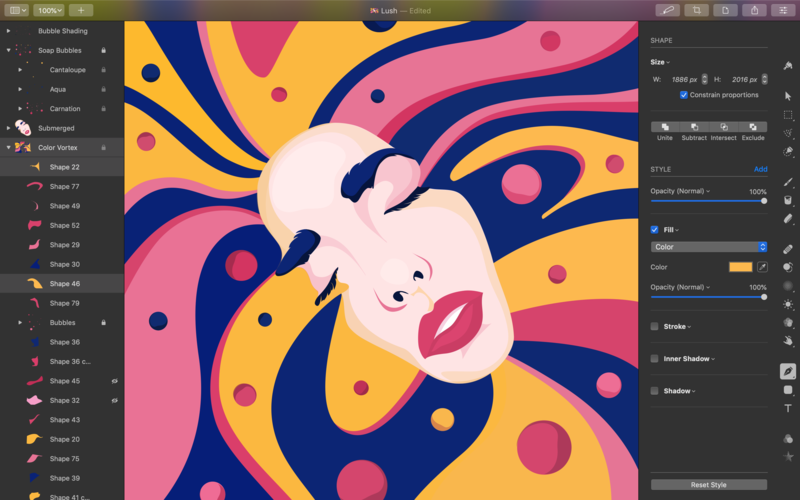 Vilnius, Lithuania - The Pixelmator Team today released Pixelmator Pro 1.2 Quicksilver, a major update to the fast and powerful image editor for Mac. The update adds support for macOS Mojave, including an all-new light appearance, Core ML-powered automatic photo enhancement, batch image processing via the Automator app, and much more. "Users love Pixelmator Pro for making such powerful image editing tools so incredibly easy to use," said Saulius Dailide, one of the founders of the Pixelmator Team. "And the new ML Enhance is our most powerful feature yet - it lets you dramatically improve the look of any photo with a single click, thanks to a machine learning algorithm trained on millions of professional photos." The new ML Enhance feature in Pixelmator Pro automatically enhances photos - balancing the colors, evening out exposure, and making changes to individual color ranges - to give you the best starting point for making your own creative edits to a photo. Powered by Core ML and developed using a carefully refined set of millions of professional photos, the machine learning algorithm analyzes photos to detect the objects they contain, then enhances their colors and brings out missing details, leaving the final creative touches to the user. Founded in 2007 by two brothers, Saulius Dailide and Aidas Dailide, the Pixelmator Team develops Pixelmator - the world's most innovative image editing app for Mac and iOS. Pixelmator has been honored with numerous awards, such as the Mac App of the Year award in 2011, the iPad App of the Year award in 2014, and many more. Pixelmator for iPad was featured at the Apple Special Event in October 2014. All Material and Software (C) Copyright 2007-2018 Pixelmator. All Rights Reserved. Apple, the Apple logo, Macintosh, iPhone, iPad and macOS are registered trademarks of Apple Inc. in the U.S. and/or other countries. Other trademarks and registered trademarks may be the property of their respective owners.